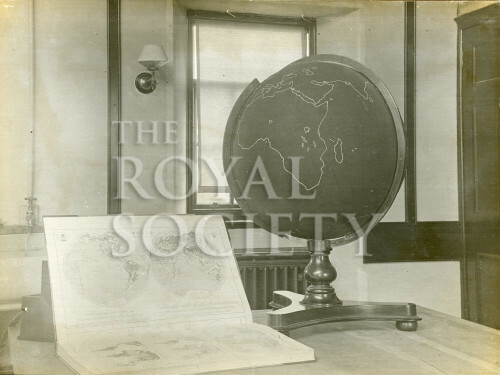 Interior view taken within the Office and Library of Eskdalemuir Observatory, showing a detailed view of the Observatory’s slate globe standing on a table with an opened world atlas. Captioned ‘Slate Globe. Used in determining the positions of Earthquakes’.